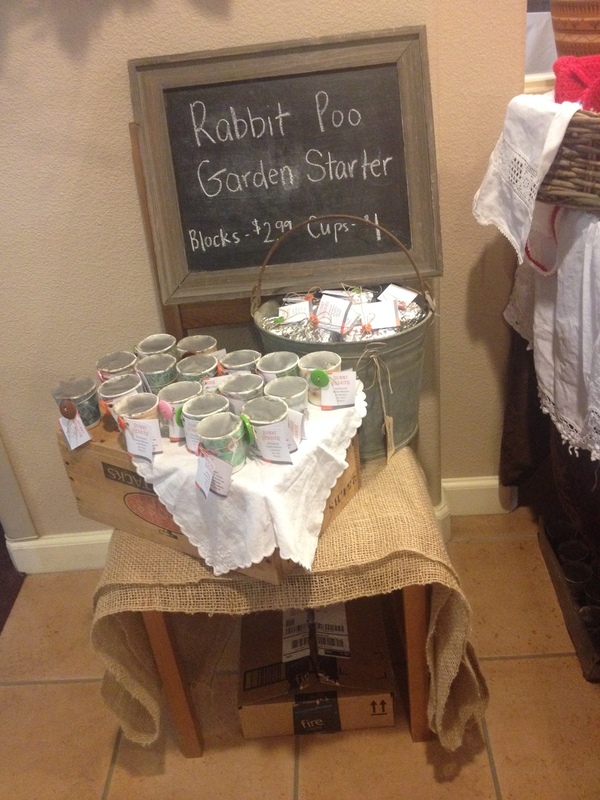 The display of our bunny berries at the craft fair. We have been stretching all of our boundaries lately. We have friends who are going through the adoption process and asked us if we could participate in their fundraising efforts by offering something to sell in a local craft fair. We were absolutely in favor of supporting them but yours truly doesn’t rank high on the “crafty” scale. But we do have poop. 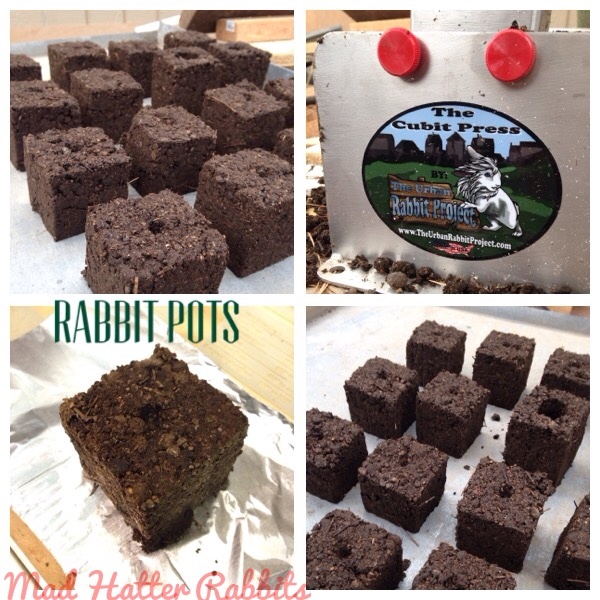 The Rabbit Pots we made are about three inches square. They’re a little delicate. Dixie cups with compacted Berries make this a good option as a seed starter. To be frank, the feedback we received is that the Bunny Berries were the talk of the craft show and people thought it was very clever but the sales were slow, as most of the craft show clientele (it was hosted in a retirement community) were more in the market for crocheted pot holders and scarves than manure… go figure! The general take away is this is a good idea, but better marketed in Farmer’s Markets or at local plant nurseries. 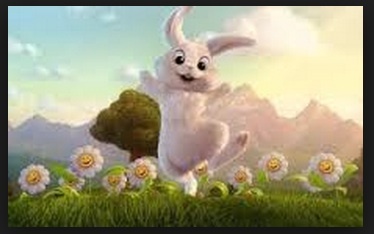 Either way, we’re glad to add this to our arsenal of ways to make rabbit relevant to every day life! Bunny Berries are excellent for reuse in gardens. 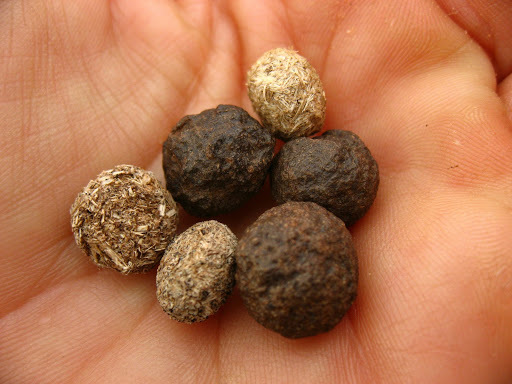 Rabbit manure, or “bunny berries,” used as a plant fertilizer is superior to other manures due to its unique composition. 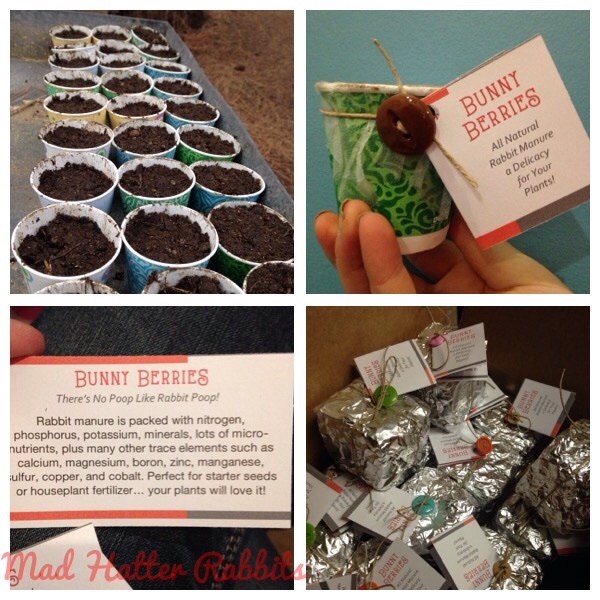 Often referred to as “super fertilizer” or “Bunny Gold,” gardeners revel in the fast and abundant growth of their crops, plants, gardens and produce. 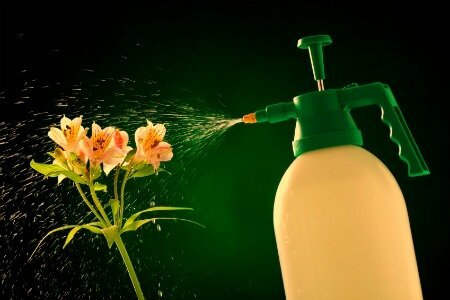 Rabbit manure will not “burn” the plants when applied directly to the plants. Composting with rabbit manure is also popular and rabbit manure ranks among the finest of all manures to use for this purpose. Worm farming (Vermiculture) has additional benefits as the worms thrive in properly maintained worm beds and rabbit manure is the favorite manure to use for raising worms. The raising of worms under cages can be used to eliminate odor in the barns. Open, ventilated barns are ideal for this venture. Worm farming also provides additional income by selling the worms for bait or composting, and the worm “castings” as potting soil.